This rug is beautifully woven in natural material like wool and cotton with beautiful vibrant colors. This is ideal for a traditional home décor and you can place it at any place in your home. Due to the vibrant color, you can use it for high traffic area as well. Bring classy features in your home by placing this gorgeous kilim carpet. This carpet is woven on a handloom and you will use it as a focal point in your home. 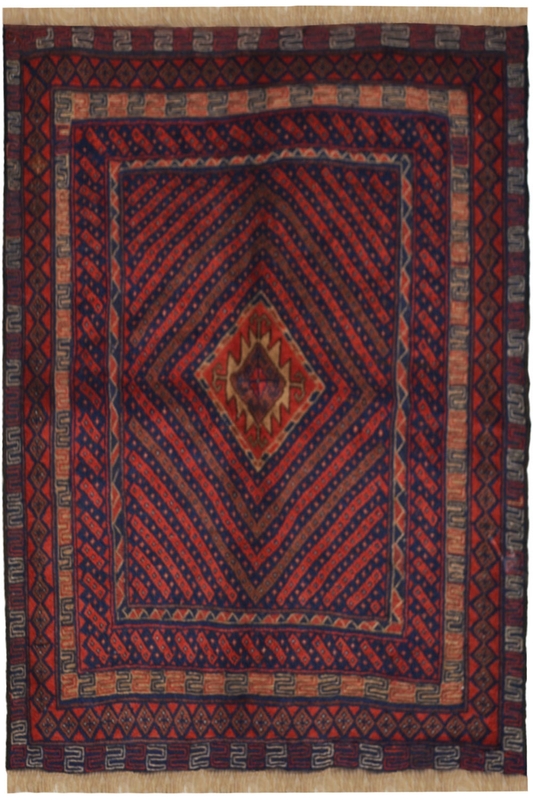 It has a beautiful Geometrical Diamond pattern which is woven using vibrant colors like rust and blue. Due to the dark color and wool material, you can use this carpet for a high traffic area.